We provide residential and commercial locksmith services catering for individuals all the way to small and large companies. Why break the lock, when it is easier and cheaper to contact your local emergency locksmiths in Camden! We can advise you over the phone and get to your location within a few minutes to fix your locks and secure your property. Locked out of your or car? Keys stuck or broken? Don’t panic call now and we will get a locksmith to you right away. Our auto services are available 24hrs a day across the whole of London and your area of Camden. We are proficient, friendly and easy on the pocket; normally responding within 30 minutes. 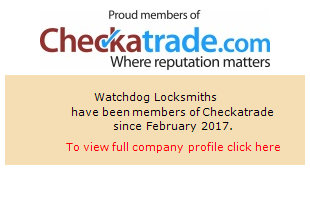 Watchdog Locksmiths provide a high quality service and have a great reputation, why not read some of our reviews on checkatrade. 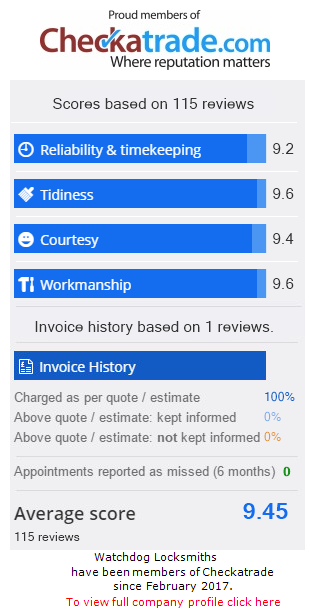 We combine years of experience and in depth knowledge of the latest technology and security tools for excellent results every time providing clients with the highest level of service and security in London and the Home Counties.